Alliant Healthcare Products is a division of Alliant Enterprises LLC, established in 2002, to provide quality, cost-effective medical device products and services. The company’s owner and CEO is Bob Taylor, a U.S. Air Force and Air Force Reserve veteran with a track record of creating value for customers and partners in the medical device industry. Today, many of Alliant Healthcare’s employees are veterans, and the company remains committed to supporting the veteran community. With a core focus on the federal market, Alliant Healthcare is not your average SDVOSB. Alliant employs an extensive team of government contracting experts, customer service representatives, field sales representatives, and many more talented individuals. With resources that surpass other SDVOSB’s, Alliant is able to make sure government purchases receive the care and attention they deserve. Alliant is proud to offer medical products and services from some of the most respected medical device manufacturers in the world, such as Philips, Olympus, Skytron, Belimed, Enovate, and many more. Vast arrays of contracting tools allow the government to purchase products through Alliant easily, efficiently, and inexpensively. A key component to Alliant Healthcare’s competitiveness in the government market is the status of being a verified SDVOSB (Service-Disabled, Veteran-Owned, Small Business). 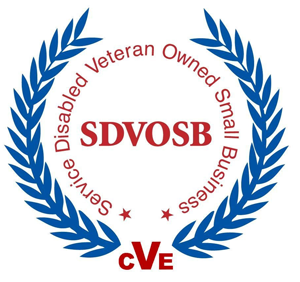 The SDVOSB program is intended to honor business-owning veterans who incurred or aggravated disabilities in the line of duty by providing their firms with sole-source and set-aside contracting opportunities. In 1999 the Veterans Entrepreneurial Act and Small Business Development Act (Public Law 106-50) established a contracting goal for federal agencies to award 3% of prime contracts to SDVOSBs. The Veterans Benefit Act of 2003 created the procurement program for small business concerns owned and controlled by service-disabled veterans. The purpose of the SDVOSB Program is to provide Federal contracting assistance to service-disabled veteran-owned small business concerns. In 2004 President G.W. Bush signed Executive Order 13360 calling for an increase in federal contracting and subcontracting opportunities for SDVOSBs. In 2006 President G.W. Bush signed into law the Veterans Benefits, Health Care, and Information Technology Act of 2006 (Public Law 109-461). This law provides the Department of Veterans Affairs (VA) with unique authority to conduct set-aside and sole source procurements with small businesses owned and operated by veterans. This legislation authorizes a unique “Veterans First” approach specific to VA contracting. This approach changes the priorities for contracting preferences within VA, placing SDVOSBs and VOSBs first and second, respectively, in satisfying VA’s acquisition requirements. June 2012, General Shinseki (Secretary of the VA) gave clear directions to contracting officers to have a special focus reaching out to SDVOSBs for both prime and subcontracting opportunities in order for the VA to reach their goals. Decision time required to award an SDVOSB sole source contract is usually within days. Procurement process and time is reduced to a minimum, lowering administrative costs. Agency negotiates with the firm directly to get the best value and streamline the process. Agency receives credit for promoting SDVOSB participation. Alliant Healthcare Products is recognized as one of the nation’s most successful SDVOSB’s in healthcare, providing a very unique proposition for our partners and the end users in the government space. The VA and DoD are focused on meeting their small business initiatives and continue to seek out capable SDVOSB’s to award projects. Finding successful SDVOSB’s in healthcare is a challenge. Alliant’s focus on quality, and compliance is at the core of all we do and is the secret to our success in meeting the needs of our large business partners and the government customers. Our past performance with the government is exemplary and continues to help us earn more business with partners and the government end users.